Hi Tessa, we bought little Fudge from you back in March & I just thought I would update you with his progress & a picture. He really is the most lovely puppy, very bright & clever, eager to learn & play. We have just started puppy training classes & they were very impressed with his Sit, Down , & heel work. He & Digby my labradoodle are best friends. Have attached a photo. Best Wishes Linda. 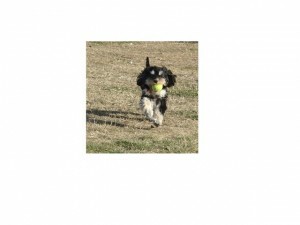 This entry was posted in Cavalier King Charles Spaniel, Feedback, Male, Puppy, Toy Poodle on June 25, 2013 by Tessa Marchand. 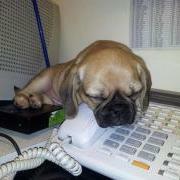 This entry was posted in Cavalier King Charles Spaniel, Feedback, Male, Pug, Puppy on June 17, 2013 by Tessa Marchand. 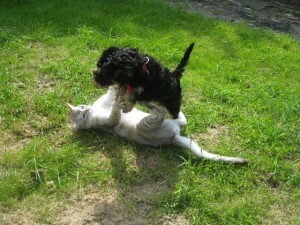 Just wanted to let you know how delighted we are with Marley (Doris and Puddles black cavapoo boy) . He has settled in well, although did cry at night for the first week ,despite classic fm being played. He is an absolute joy and is doing very well with his toilet training. Thank you for all your advise upon collection. We now feel that our family is complete again after 5 years without a dog. This entry was posted in Cavalier King Charles Spaniel, Feedback, Male, Puppy, Toy Poodle on June 17, 2013 by Tessa Marchand.